Former Prime Minister Yingluck Shinawatra says goodbye to journalists and supporters as she leaves parliament after defending herself against impeachment charges. Former Thai Prime Minister returned to the Parliament building Friday for the first time since her elected government was overthrown by the army back in May. She came to defend herself against impeachment charges leveled against her by Thailand's National Anti Corruption Commission. The charges are related to the rice price supports her government offered farmers in 2011 and 2012. 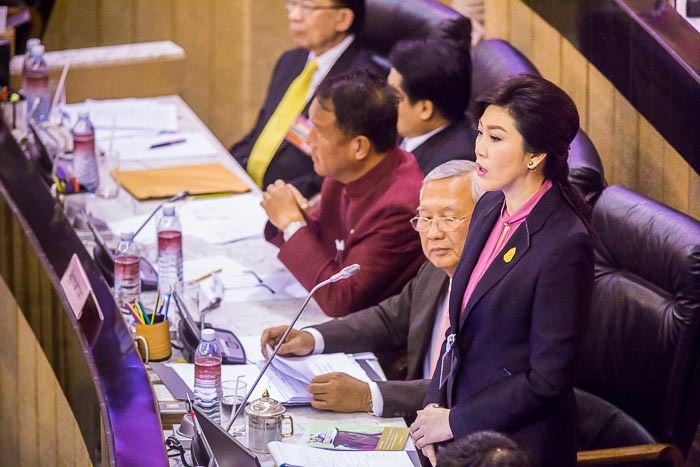 Yingluck pointed out to members of the National Legislative Assembly (the military's hand picked legislative body) that since she's no longer head of government, and has in effect been removed three times now (twice by the courts, once by the military), she can't be impeached. She added that she did nothing wrong and that government's role is to support farmers and all citizens. She pointed out that other countries, including Japan and the US offer price supports to their farmers. She said her government's rice scheme was administered openly and honestly. If Yingluck is impeached she could be banned from politics for at least five years. The NLA may take up legislation that would make impeachment a lifetime ban. If that legislation is passed before her conviction, she could be banned for life. The NLA is expected to vote on her verdict by the end of January. Since she's already out of office, the real purpose of the impeachment would be to metaphorically drive a stake through her heart; to ban the still popular former PM from running in the next election, whenever that might be. Yingluck talks to reporters after her appearance before the NLA. 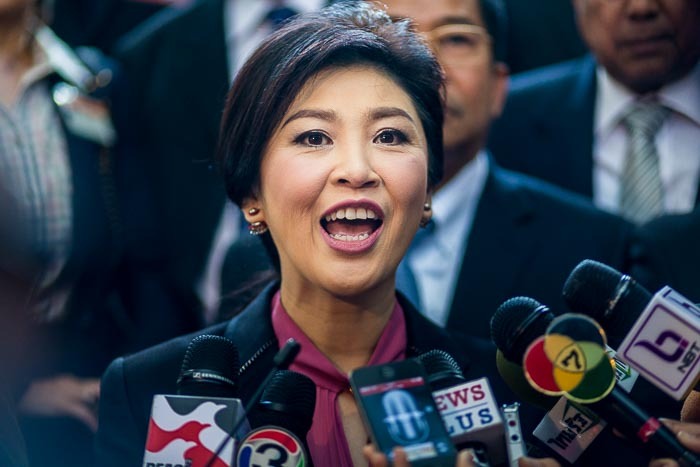 Whatever the outcome of the impeachment trial, it does not mark end of Yingluck's legal woes. The NACC is said to be forwarding their case against her to prosecutors. They are expected to seek a criminal trial against her. If convicted she could be sentenced a long prison term. There are more photos from her impeachment hearing in my archive or available from ZUMA Press.